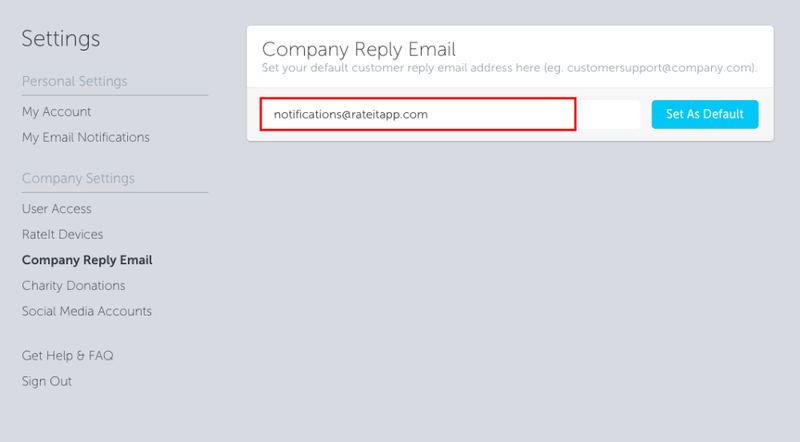 When you reply to customer messages in the RateIt Portal, by default the customer will receive the email reply from notifications@rateitapp.com. In order to encourage direct dialogue and communication with customers, we recommending changing the reply email address to one you own or manage - for example, your own personal email address, or a customer service email (eg. customersupport@company.com). 1. 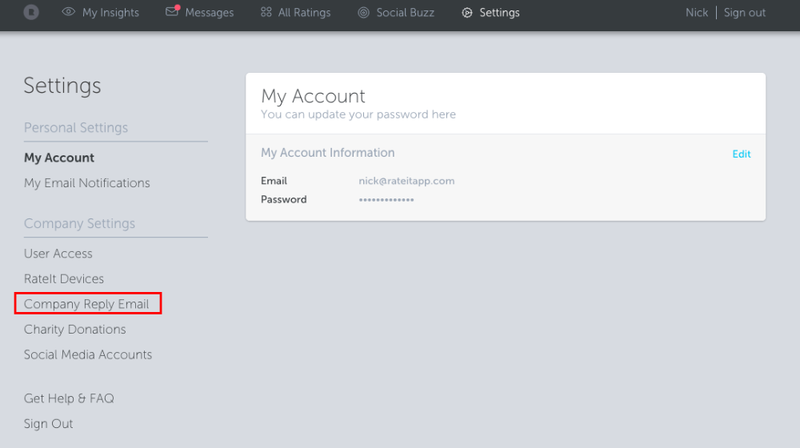 Login to your portal using your username and password. 2. Once logged in to the portal, click on Settings in the top right hand corner of the screen. 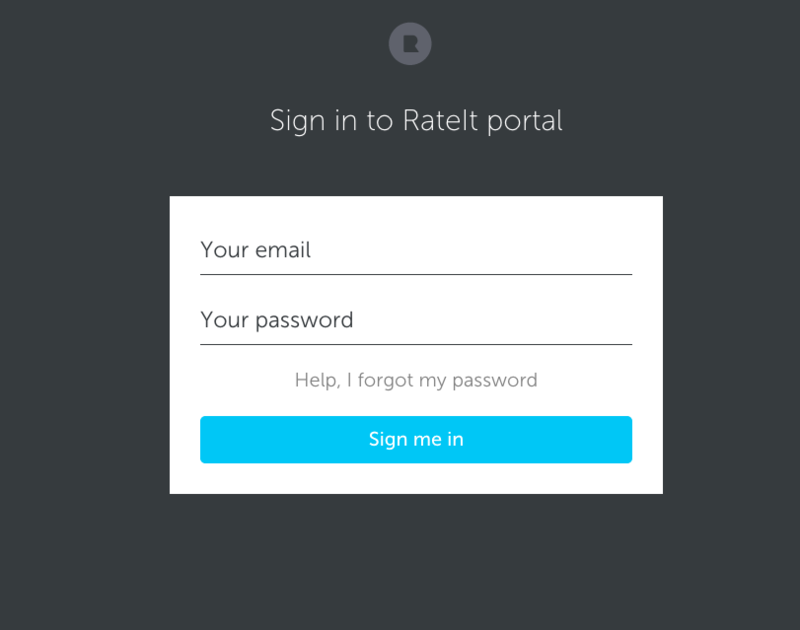 Now when you reply to customer messages in the RateIt Portal, the message the customer receives will be from the email you entered!